Spring has arrived and time to spruce things up! But we’re not talking about your closet here. Do you have a publication that’s in need of a fresh face? 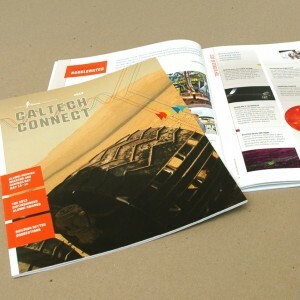 We just helped our client at Caltech perk up their Alumni outreach brochure and reinvigorate their audience with a new design. “And the response has been raves… it’s been a real home run.” We know that even the most successful of collateral pieces get tired so don’t underestimate the power of a “new and improved” formula.